Deep within the heart of Halong Bay, within the picturesque Bo Hon Archipelago, lies Trinh Nu Cave, known to many as the “Virgin Cave”. Just 3 km to the southeast of Sung Sot Cave, a visit to the Trinh Nu Cave blends the spellbinding natural beauty of Halong Bay with the quaint folklore imprint of Vietnamese heritage. 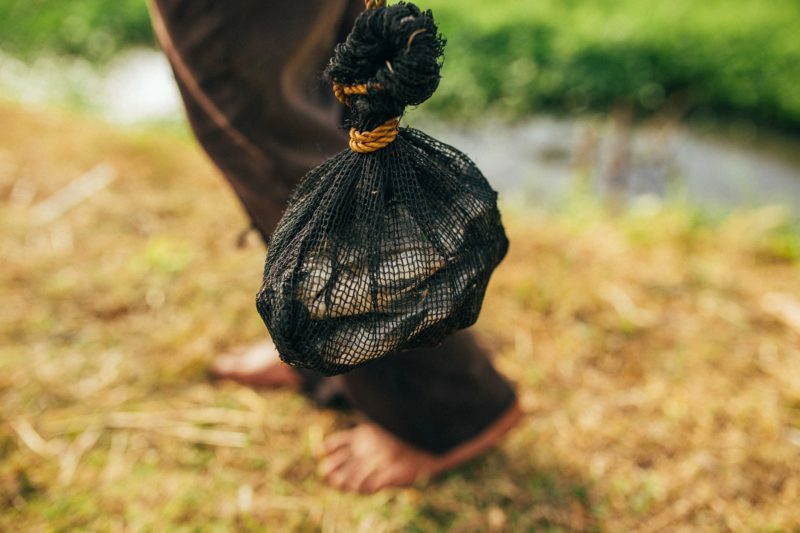 A long time ago, there was a beautiful fisherman’s daughter, whose family was so poor that it was in the service of the rich landlord of the fishing zone in Halong Bay. Captivated by her beauty, the rich landlord forced the family to give him the girl as a concubine. The girl protested, as she already had a lover, who at the time was on the high seas catching fish to prepare for their wedding. The landlord, angered by her refusal, exiled her to a wild island where she suffered from hunger and exhaustion. 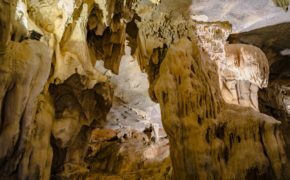 On one frightening night, amidst terrible rain and winds, she turned to stone, in what we now call Trinh Nu Cave or the “Virgin Cave”. Nowadays, in the center of the cave, there is still a stone with the shape of a girl lying down with her long hair looking out to the sea, waiting for her lover to return. On this same night, her lover sensed she was in danger, and he rowed his boat as fast as he could in search of her as the storm roared on. Eventually, the crashing waves destroyed his boat and he floated to one of the nearby islands. As the lightning flashed, he caught a glimpse of his soulmate in the distance, but she could not hear his cries because of the howling wind. 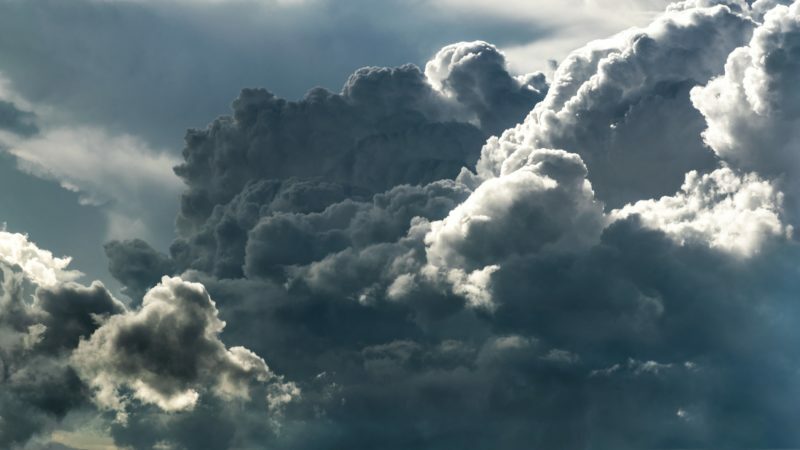 He picked up a large rock and began to hammer on the mountain until blood flowed from his hands to let her know he was nearby, but she could not hear him. In his final exhaustion, he too turned to stone in what we now call Trống Cave or the “Male Cave”, situated just 700m away, facing Trinh Nu Cave. 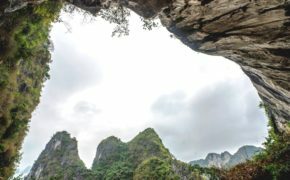 At the entrance of the Male Cave, you can see a stone-shaped man gazing at Trinh Nu cave for all of eternity, and it’s said by the local people that they can still hear his pained screams, especially during strong storms. This tragic love story has always been known by the local people, even as fishermen used the caves for shelter from storms and the ravages of war. 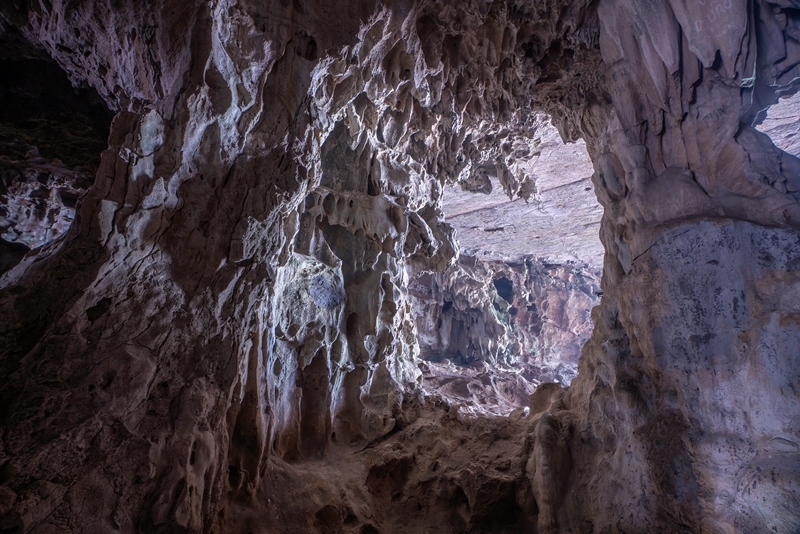 But for young couples, a trip to Trinh Nu Cave is the perfect place to swear their true love to one another. 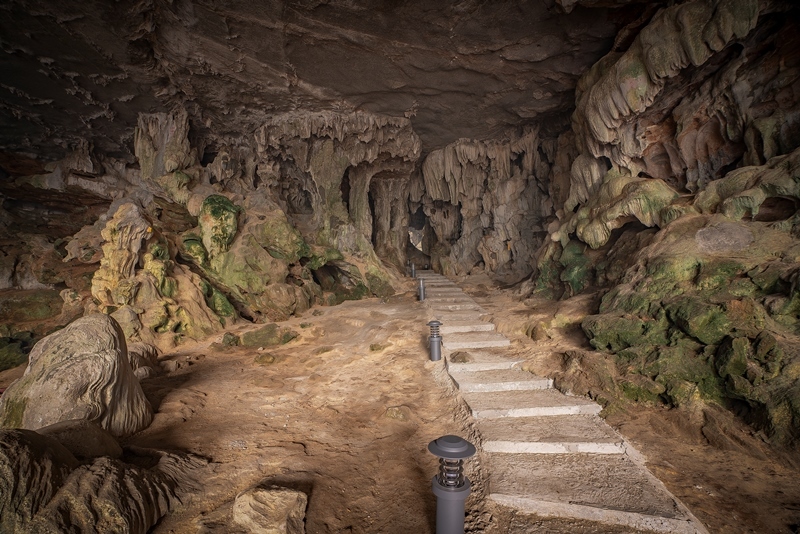 Aside from tragic love stories, Trinh Nu Cave also remains the site of important archaeological finds in Halong Bay. In 2000, archaeologists discovered the remains of prehistoric inhabitants of Halong culture (about 4,000 years ago) with traces such as ash, bone fragments, and stone. In 2010, archaeologists discovered additional pieces of ancient ceramic wharves just in front of Trinh Nu cave, such as porcelain and crockery as well as jars with decorative patterns like ocean waves. Fragments of bowls and plates were identified as belonging to the Tran dynasty (13th-14th centuries) while glazed pottery pieces existing from the more recent Le dynasty (16th-18th centuries). Lastly, many pottery pieces were scattered along the ground from ancient Chinese feudal dynasties. Based on the results of these discoveries, archeologists believe that Trinh Nu Cave was a small, ancient pottery vestige in the old Van Don trading system. 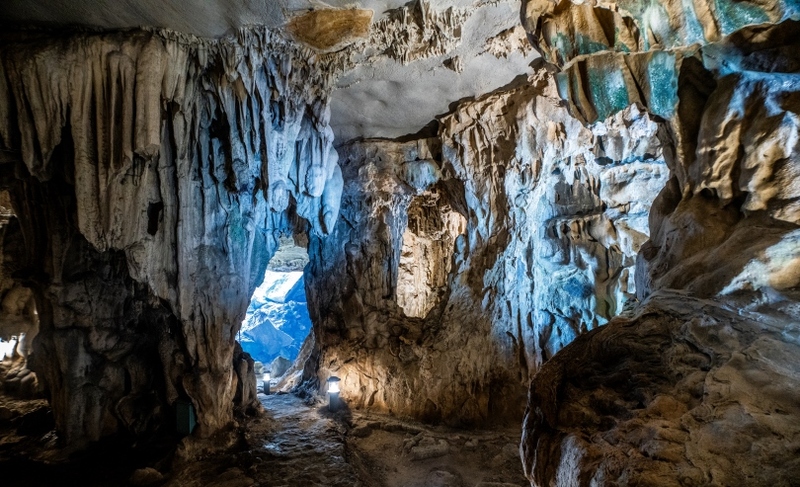 Currently, Bhaya Cruises is the only cruise operator allowed to visit the area where Trinh Nu Cave is located, under special authorization of the Halong City government. 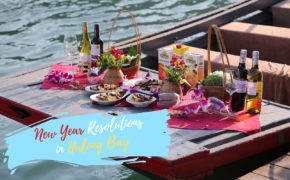 Bhaya Cruises, the main contributor of this project, has renovated and maintained the Trinh Nu area by building a small gangway and stairs for ease of access as well as regularly cleaning the beach. 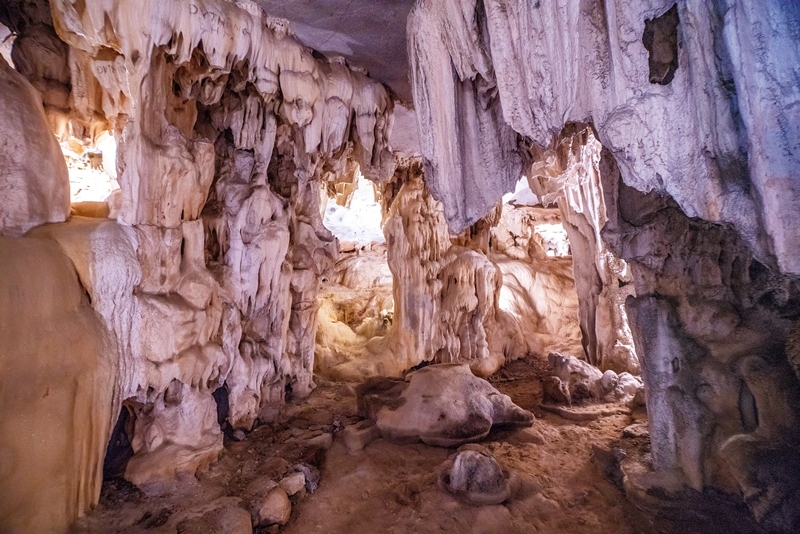 Trinh Nu Cave is located on Bhaya Cruises’ No. 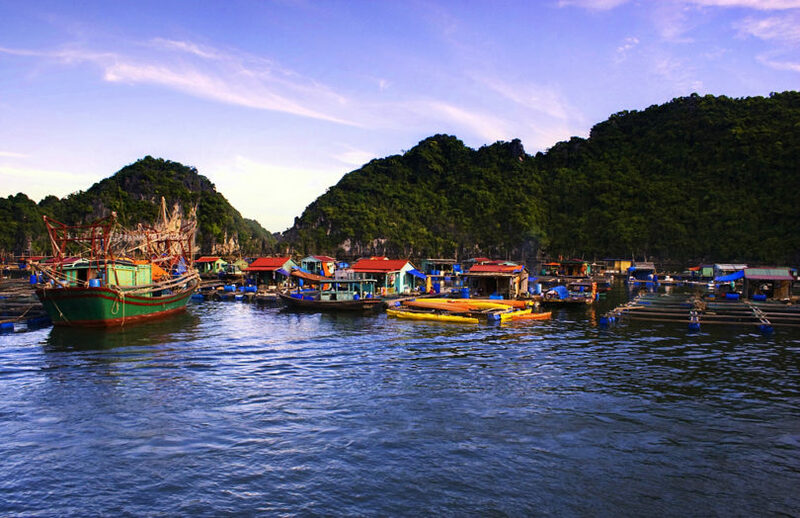 2 Halong Bay tourist route along with Soi Sim Beach, Ti Top Island, Sung Sot Cave, Me Cung Cave, Bo Nau Cave, Luon Cave, Trong (Male) Cave, and Dong Tien Lake. 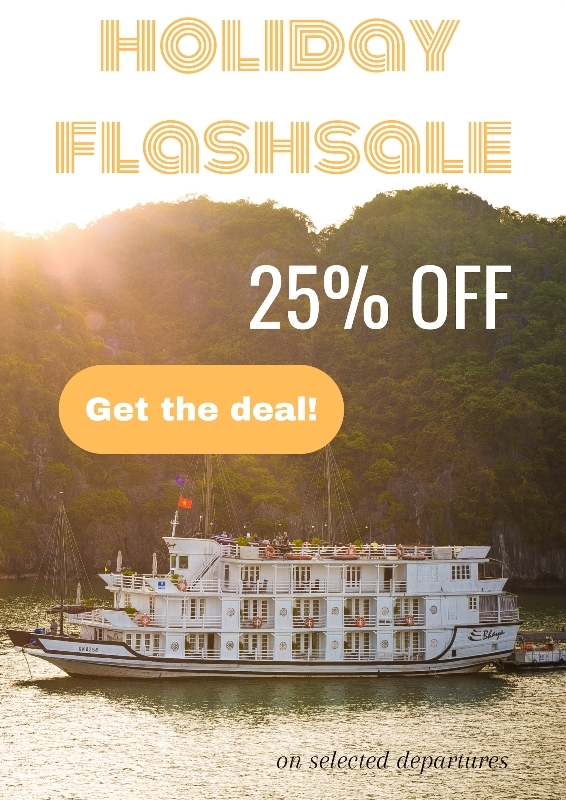 Passengers will admire the poetic beauty of Halong Bay’s otherworldly landscape and mysterious caves filled with nature’s masterpieces, stalagmites and stalactites before dipping into the jade-green waters for a swim. Make sure to take some time to sunbathe on the pristine private beach and soak up the atmosphere which can only be felt in Vietnam.